When it comes to decorating for different seasons such as Fall, I always go with simple touches that pack a lot of punch. 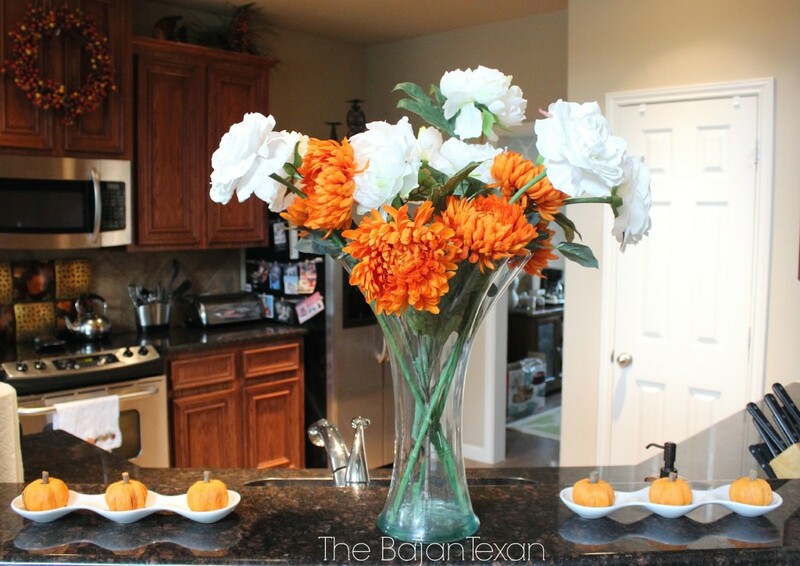 There are 5 tips that are crucial for seasonal decorating on a budget. 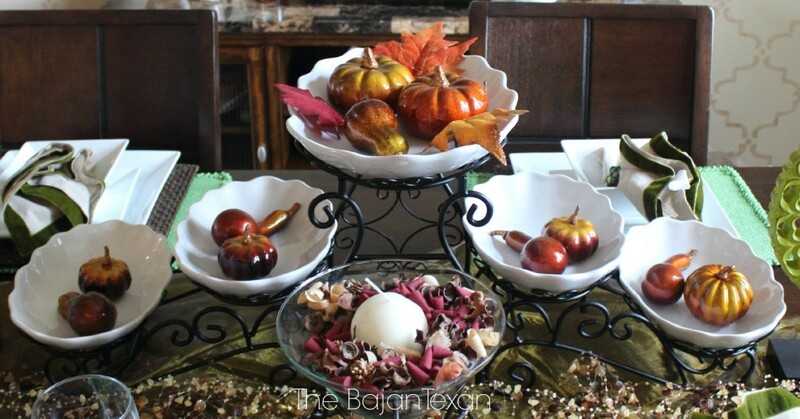 Watch the video at the end of the post to see how I have used these tips in my own fall decor this year. Fabric is a cheap way to add color and texture to a space. I was able to use just one yard of burlap for $1 and 2 yards of orange chevron fabric to give a big impact in my entryway. Space to store serving pieces is always at a premium. I try to buy serving pieces that I think are beautiful on their own so I can use them as decor. 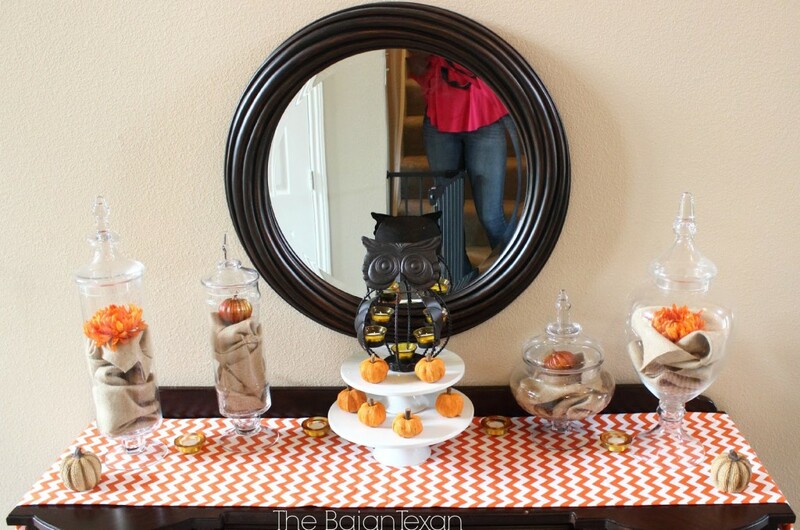 In my entry way I used apothecary jars, beverage holders and cake stands as a part of my fall decor. 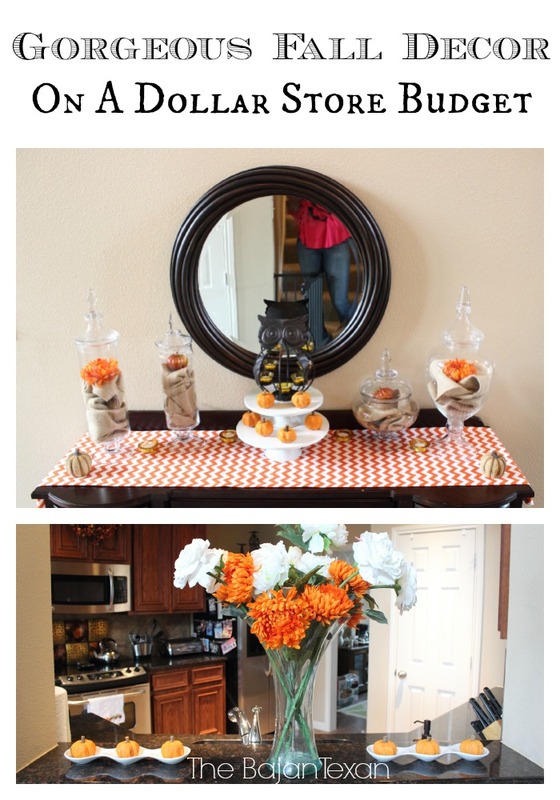 In my dining room I simply placed some small pumpkins in a tiered stand. 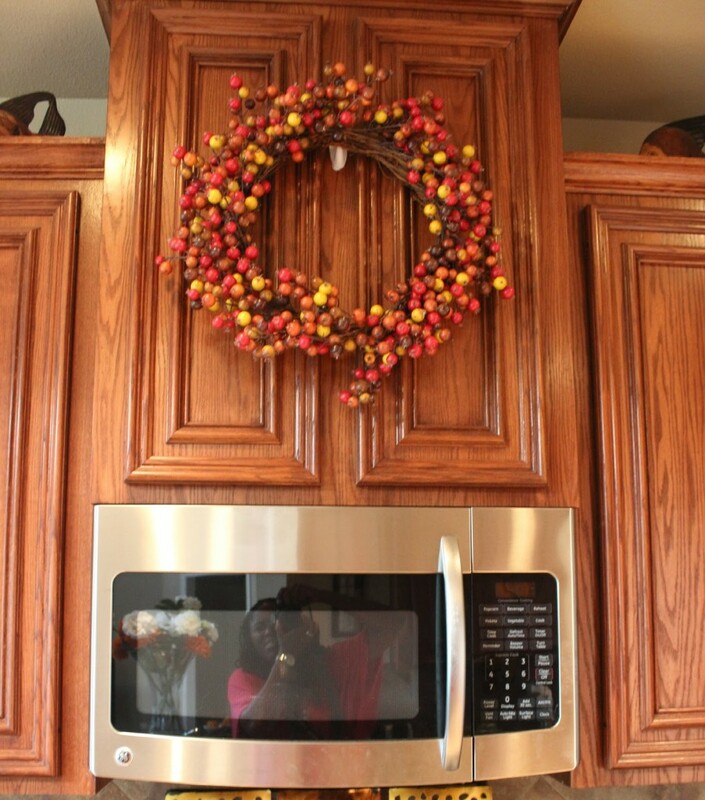 Using artificial decor allows you to reuse them year after year and simply add to your collection. Don’t be cheap on the quality of the flowers though, nothing screams cheap more than some plastic flowers, the goal is to look expensive but on a budget. I personally buy a flowers when they are on sale at Michael’s or Hobby Lobby. 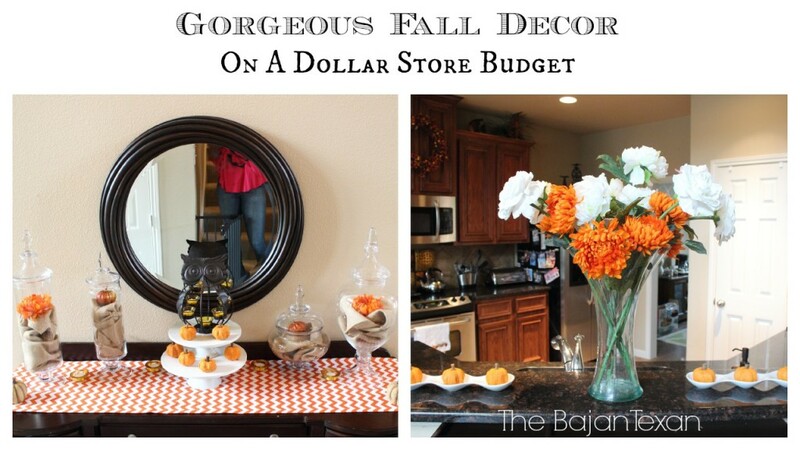 The time to add to your Fall Collection is not in September, buy your decor when everything goes on sale at the end of the Season. Everything is usually at least 70% off at that time as the stores are trying to get that stock out of the store to make way for Christmas decor.